Now planning for 2019/20 Season. Here’s a youtube video that covered a seminar we organised a few years ago – I’m glad to say they haven’t – yet ! Update: FES Energy Postcode App now showing and ranking 4 years of energy consumption data for gas and electricity. The Halite Energy Group is seeking consent to develop 19 purpose-built gas storage caverns at Preesall, Lancashire. Wednesday 17th September: Will the lights go out? Tickets and details available from here – our eventbrite page. All to be held at the HQ of Allen & Overy in the City. Energy Policy and Affordability, is it time for a Plan B? Confirmed speakers: Danny Fortson of the Sunday Times, Mark Powell of AT Kearney, Angela Knight CBE of EnergyUK, Derek Lickorish MBE of the Fuel Poverty Advisory Group and Dr Alan Whitehead MP. Timings: 5.30 p.m. registration for 6.00 p.m. start. Tickets and details available from our Eventbrite page. N.B. NEW VENUE: A.T. Kearney, Berkeley Square, W1J 6ER, London. Confirmed speakers: Algy Cluff, CEO of Cluff Natural Resources Plc on Underground and under the North Sea Coal Gassification and Professor Selley of Imperial College on the UK’s Geology. 3rd Speaker Dan Byles MP, Chair of APPG on Unconventional Oil & Gas. For more details and to purchase your tickets – go here to our eventbrite page. We have used population data to give this additional meaning. You also get a map of the area too. Tickets and details available from here. 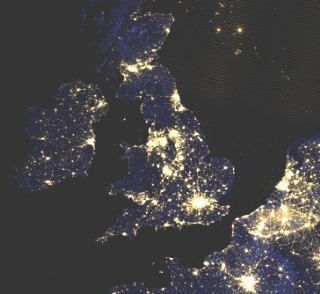 Future Energy Strategies brings together a unique group of industry analysts to do exactly what the name suggests – provide strategic insight into the future shape of the energy industry in Britain and across the European market. The group communicate messages on a number of energy industry issues through both events and reports. See youtube video below from Energy Live News of our recent event “Will the lights go out?” on May 1st 2013. Why come to FES/Utility Strategy Group events? FES reports: why commission reports from FES?